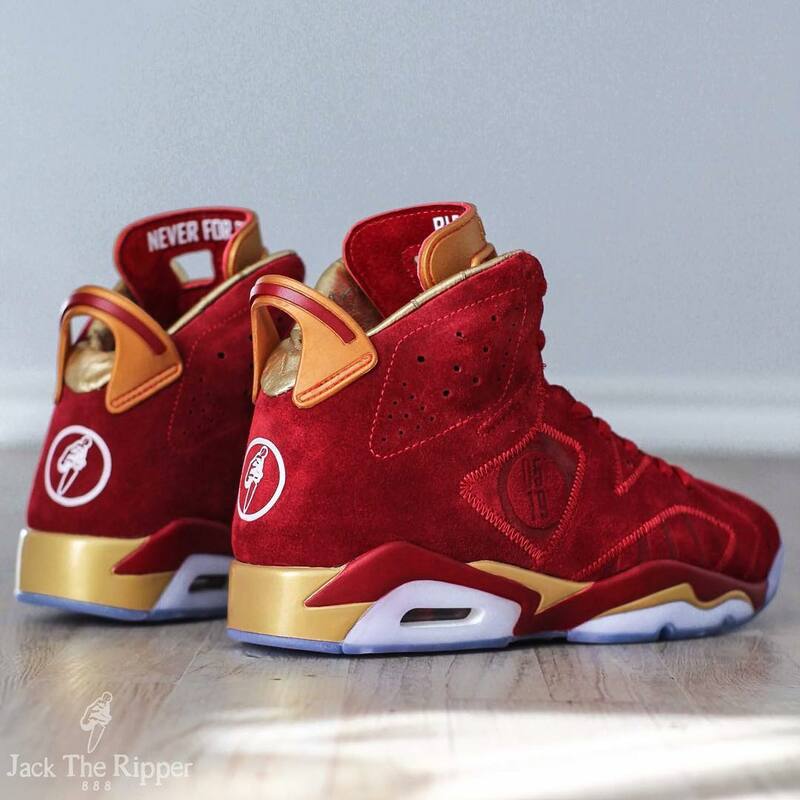 Jack the Ripper delivers an amazing custom. 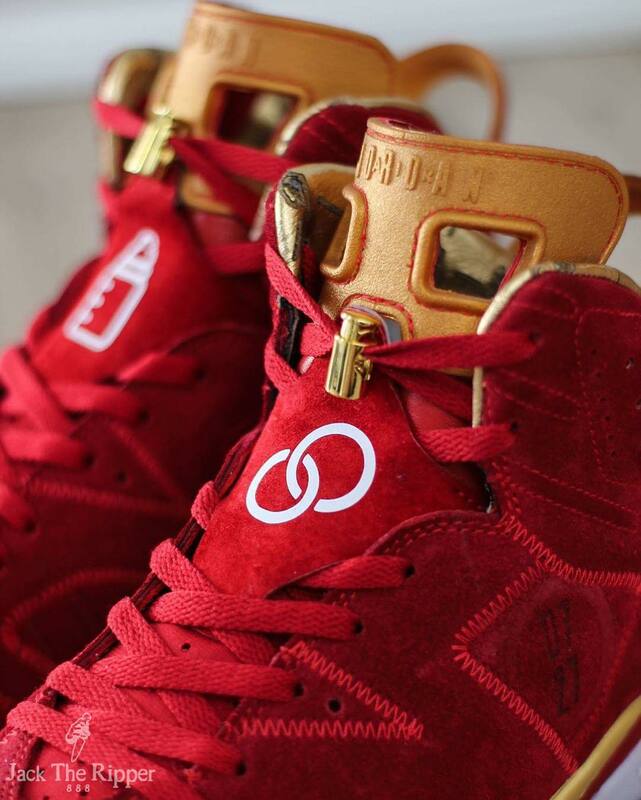 If you haven't heard of sneaker customizer Jack the Ripper, it's time to get familiar. 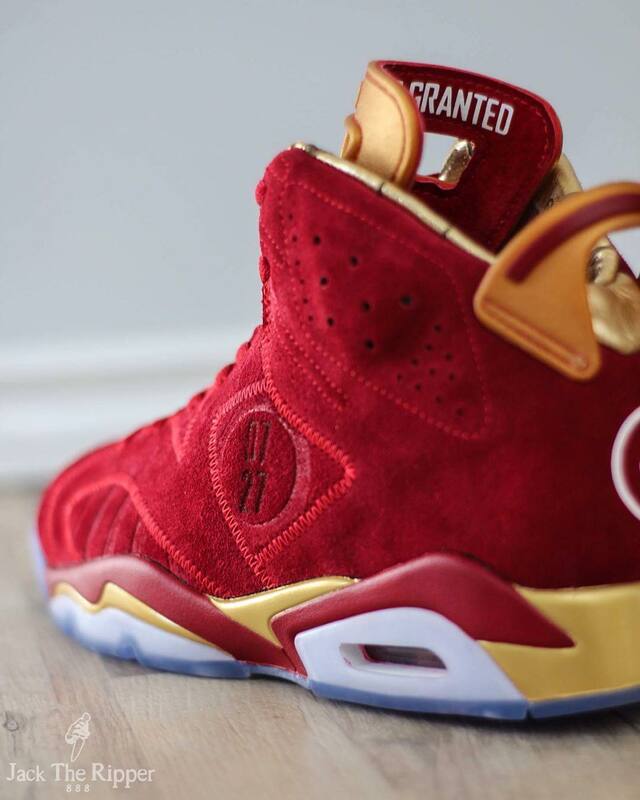 The self-proclaimed "Sneaker Alchemist" is killing every project he works on, including this "Blood Red" version of the Doernbecher Air Jordan 6 Retro. Bringing shoeicidal​'s vision to life, the Jack took the uniquely patterned retro from navy to deep red, complemented by touches of metallic gold on the tongue, lace locks, pull-tab and midsole. 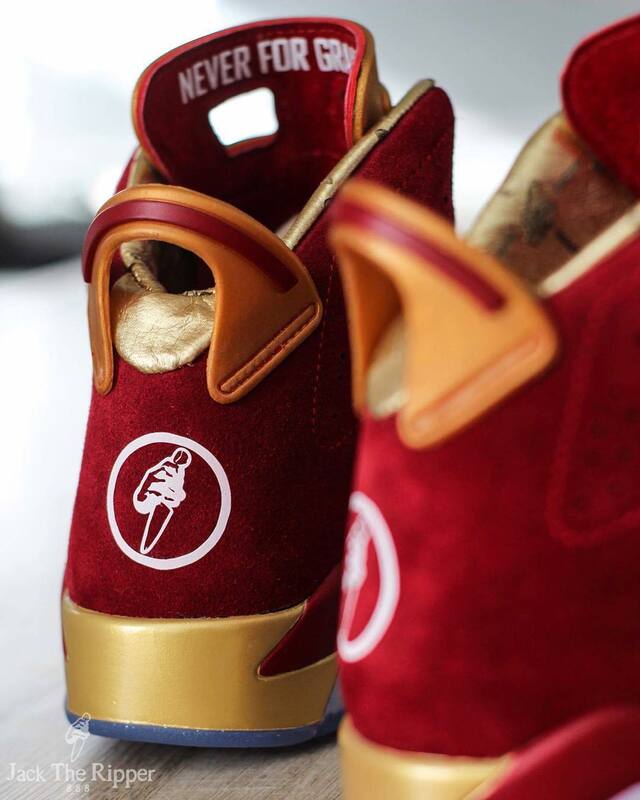 He also added personalized elements requested by shoeicidal and his trademark logo to the heels. To cap it all off, the shoes were packaged in a custom box. 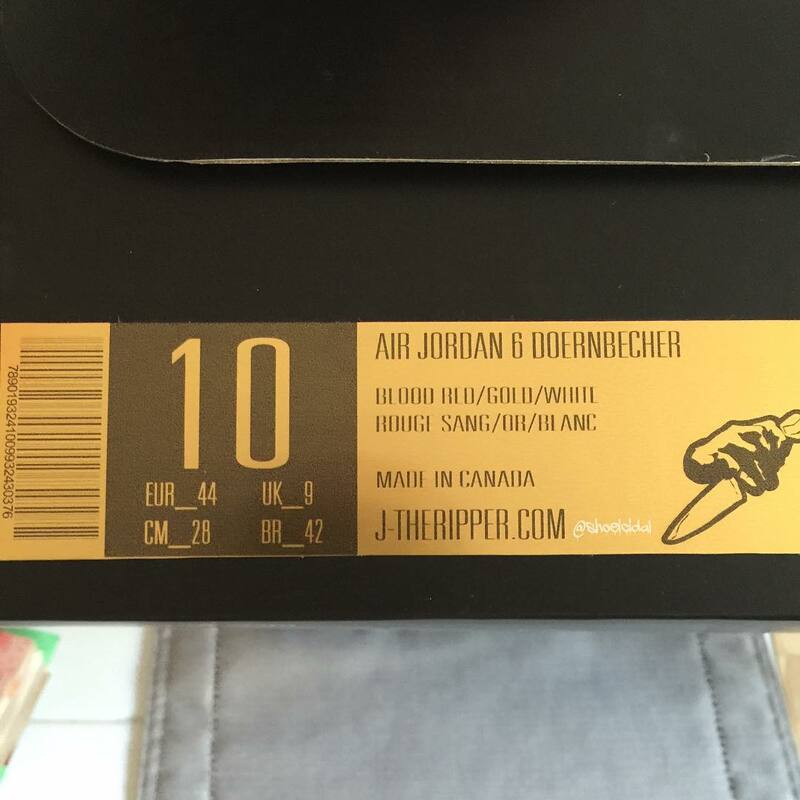 This pair is a one-off, but you can shop existing custom creations now at j-theripper.com.